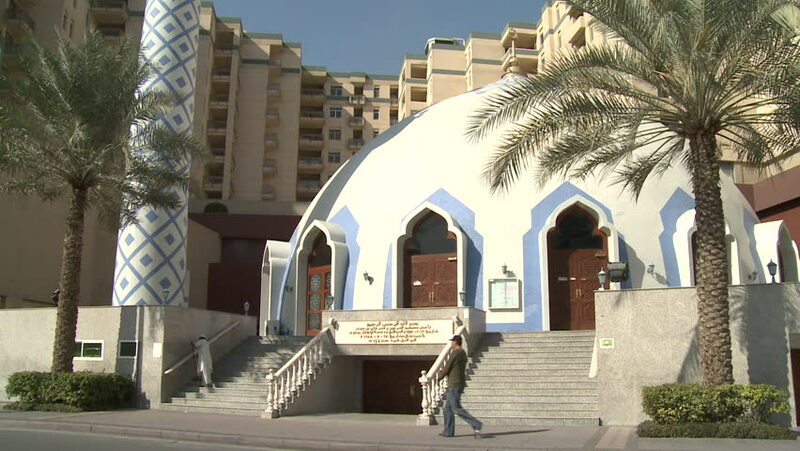 Mosque Dubai. Wide shot of a pretty blue and white striped mosque and minaret with Arabesque architectural features. A man is sweeping the staircase. hd00:16Church of Bom Jesus, Daman - Located in Moti Daman, as its name suggests, is dedicated to Bom Jesus. Its construction was started in 1559, and its consecration took place in 1603. 4k00:11UAE, 2017: Madinat jumeirah. Luxury resort and tourist attraction in the heart of Dubai. The atmosphere of ancient Arabia. hd00:13MANAMA, CIRCA FEBRUARY 2015: Isa Cultural Center in Manama, Bahrain. Built by the government, is one of the most popular cultural institutions in the Kingdom of Bahrain.